Charleston South Carolina destinations on your ‘bucket list’? The choices of destination places for vacation travelers are endless. Most folks have a ‘bucket list’, either written in ink or in their heads. I know that Charleston, South Carolina destinations are on many a list. Let’s talk about why, shall we? The first time I visited Charleston I had no preconceived notions. My mind was open. What I found walking the narrow neighborhood city streets and waterfront boulevards of Battery Park was delightful. I discovered historic charm with no apologies for some aging patina. The natives move a little slower and sit on their piazzas a little longer. Shop keepers on King Street talk a bit more about Charleston, South Carolina destinations and lifestyle before they talk of their wares for sale. These were just a few observations. 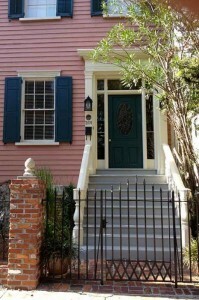 Other reasons why vacationers seek Charleston, South Carolina destinations? 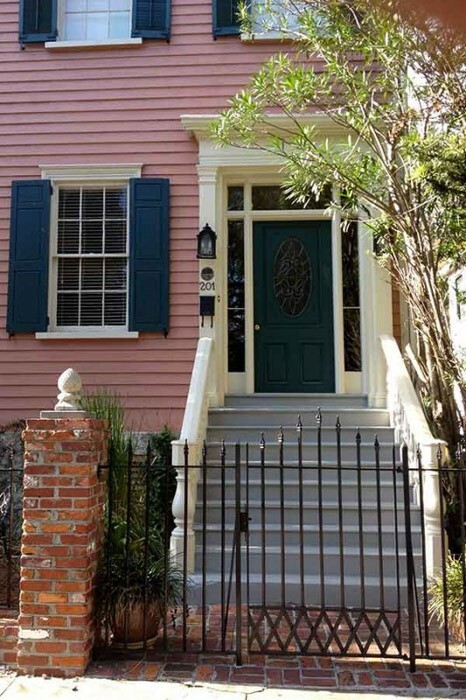 Besides the history and the low country food, the expectations lean towards romance. Yes, there are carriage rides and sunset sails if a person wants to ‘pop the question’, but I believe the entire city has an inherent romantic feel. It is everywhere! A simple stroll along ‘Rainbow Row’, an unexpected downpour that washes the soft pastel exteriors of the shops, then a quick duck into a restaurant for one of those tall Charleston signature Sweet Tea cocktails to linger over. Oh yes, and afterwards back to your bed and breakfast for …whatever. That’s romance. 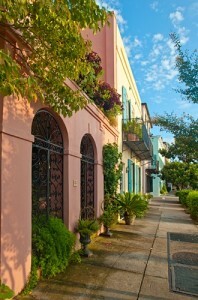 Charleston South Carolina Rainbow Row, pastels and patina. The Ashley and Cannonboro Bed and Breakfast Inns are two Charleston South Carolina destination properties offered as a package. 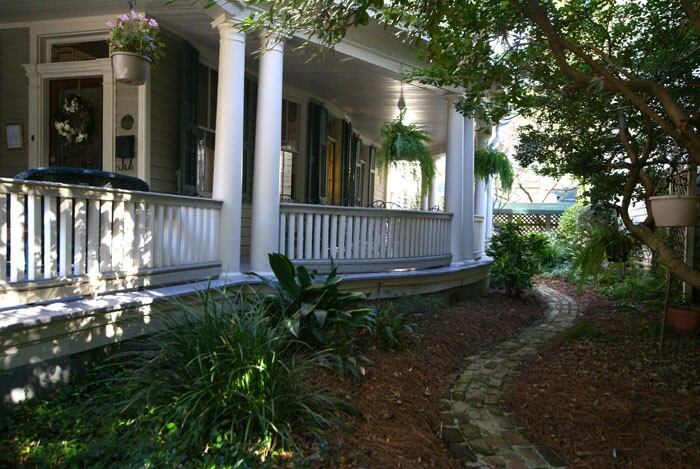 The B&B Team has recently listed these Charleston Bed and Breakfast Inns for sale. 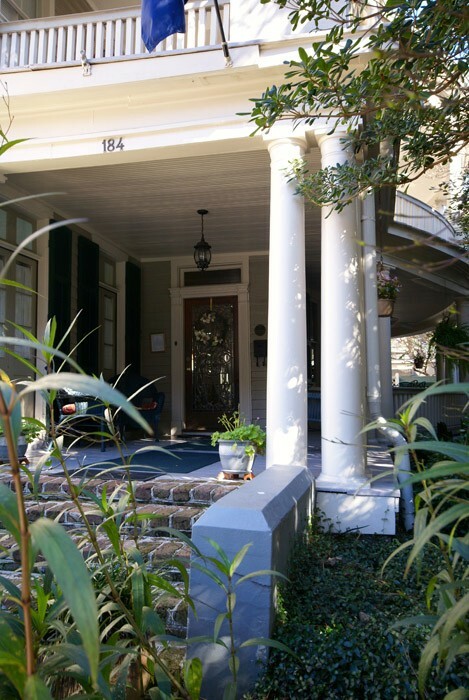 They reflect what Charleston South Carolina refined lodging is all about. Both are located in the historic district of the city located less than a block from each other. Built in 1832 and 1853, boom times in Charleston. They feature the upstairs, downstairs twin piazzas found so frequently throughout the district. Outdoor living on the piazzas catch the cool cross breezes from the water. They each feature shaded gardens and fountains. I can just hear the palmetto fronds rustling now! Alfresco breakfasts are served with the best glassware and china, no picnic ware allowed! 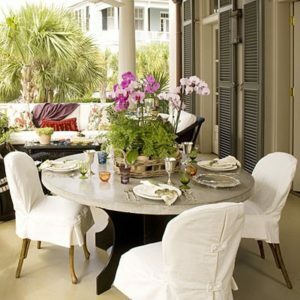 Votive candles and flowers from the garden complete the Charleston, South Carolina romantic outdoor dining experience. The interiors feature southern heart pine floors and classic refined architectural details throughout. The two properties were built with entertaining in mind. No wonder southern hospitality appears to come so easily when experienced in the warmth and style of these Charleston Inns. Each Inn has 8 guest rooms. Very manageable and financially viable! Both properties have maintained high occupancy rates. Practically speaking, the Inns are beautifully maintained inside and out. Good bones! If you are seeking a more refined lifestyle with a bit of a slower pace; a place that is surrounded by romance, history and authentic southern charm; a place to live and establish roots where you have true bragging rights, that IS Charleston, South Carolina. 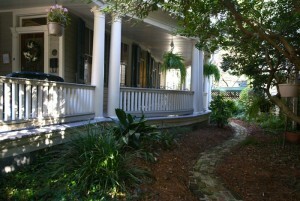 Take the opportunity to visit Charleston and the Ashley and Cannonboro Bed and Breakfast Inns. I guarantee you will discover what I did on my first visit, a reason to come back! This entry was posted on Friday, April 25th, 2014 at 8:45 pm	and is filed under Inns for Sale. You can follow any responses to this entry through the RSS 2.0 feed. Both comments and pings are currently closed.